The virus is unique, new in 2009, and our immune systems do not have antibodies that will act on it at all. That is why people under 50 are the ones who die from it, unlike the seasonal flu. 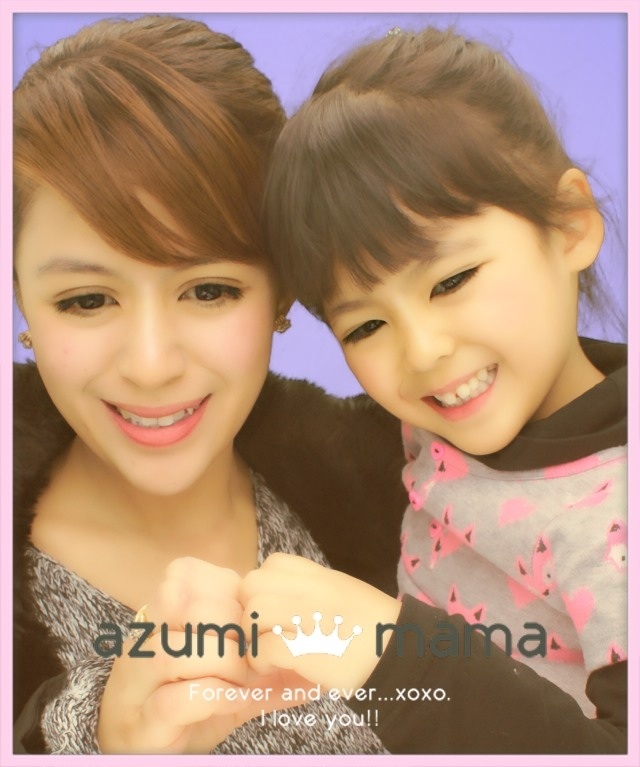 The bottomline, I just want to be the best mom I can for my daughter…and if anything happened to her…I would never forgive myself for which ever decision I might have made. It's better to prevent..
please ALWAYS wash your hands first as soon as you get home..
Hand washing is the single most important step in preventing the spread of diseases. mahirap na talaga kapag nagkakaroon o dinadapuan ng sakit lalo na iyong mga bata..
so glad na vaccine na rin si Andrea, scrary kasi dba. yeah reading a lot of nega and positive opinions over the net, nakaka-confuse and katakot leaving us to have tough decision.. SO far wala pa kami nababalitaan na nagka-side effect dito, if there is, the government will surely stop the vaccination. Nothing wrong with being prepared, rather than be sorry sis! Though the vaccine never did get to fly off here in the RP. hi bambie! it's been a while. that's very brave of you to have anzu vaccinated. did you get yourself vaccinated too? as for me, i am biding my time. perhaps samantha will get hers in 2011. her pedia kasi doesn't recommend it yet. and i guess here in germany, you can say that we are pretty safe. That AH1N1 was really scary... Here in Pinas. They had to suspend classes due to that thing. And yes, prevention is a lot better than cure. that's good for the child. But i think the effect is only good for six months. But i am not so sure, better check it. That's good for your child. But i think the effect of this vaccine is only six months. I am not so sure, so better check it. 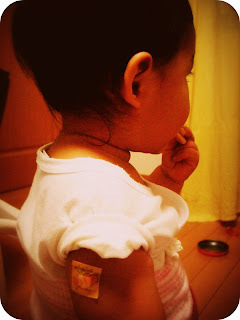 No H1N1 vaccine for Una yet, but will have it as soon as the pedia says OK. Ang cute naman ng patch na yan. Bakit kaya dito, cotton and medical tape lang? Iba na siyempre yung nagiingat. Kasabihan nga, an ounce of prevention is better than a pound of cure. Nothing but the best for your darling Anzu. BTW, pakidalaw naman yung aking Komentaryo-Filipino blog. Nandun ang mga chikitings nyo sa aking latest post- Daya-Logs, lol. Thanks for the post. God bless you all. That's good Bam's you got lil Anzu had her vaccination. Mabuti na talaga para safe. Warm hugs and kisses! Ouch kahit painful okay lang yan Anzu kasi its for your good health namana. Sayang di ako makapagcomments a top post mo hehehe. Ang sweet sweet naman ni Mommy Seiko! hello.. first time here and I like you bog. visit mine too!